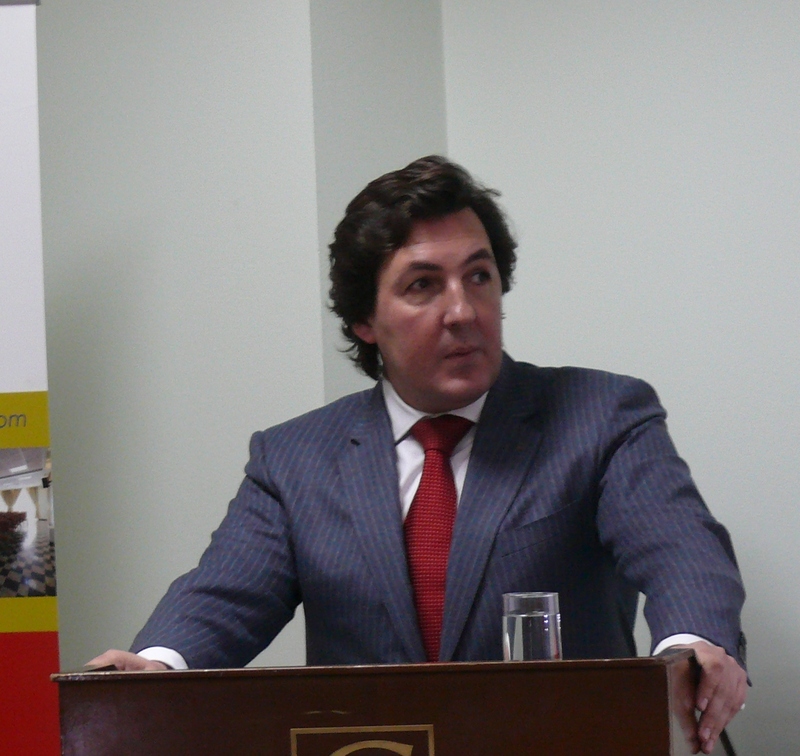 On Monday, 3 February 2014 and Tuesday, 4 February 2014, EuFoA Director Eduardo Lorenzo Ochoa appeared as a guest lecturer at the University of Deusto‘s International Business School. His Monday lecture was titled “Effectively communicating businesses’ positions in the EU: an inter-institutional approach”, while his Tuesday class focused on “Business opportunities in the EU Eastern Partnership: The case of Armenia.” Both lessons were relevant for the programme’s current module focusing on business opportunities in Europe. Mr Lorenzo gave his lecture via Skype to the mostly international students in San Sebastian, Spain. Mr Lorenzo will continue to instruct International Business Master students in topics relevant to both the EU and Armenia. The university’s Master programme in International Business (MIB) helps students identify business prospects and implement strategies across the globe. Deusto University puts an emphasis on a practical approach of teaching and succeeds in sending out young professionals to lead businesses on an international level. In recent years, Mr Lorenzo has lectured at universities across Europe including the Ecole Supérieure de Commerce de la Rochelle, the National Democratic Institute of Armenia and the Diplomatic School of Armenia, which he helped establish. Mr Lorenzo has additionally been providing training to senior civil servants in Armenia.